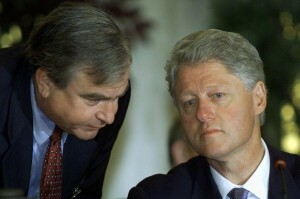 WASHINGTON — Former national security adviser Sandy Berger, who helped craft President Bill Clinton’s foreign policy and got in trouble over destroying classified documents, died Wednesday. He was 70. The cause of death was cancer, said a statement by his consulting firm, the Albright Stonebridge Group. Berger was White House national security adviser from 1997 to 2001, when the Clinton administration carried out airstrikes in Kosovo and against Saddam Hussein’s forces in Iraq. Berger, a lawyer, also was deeply involved in the administration’s push for free trade, and in the response to al-Qaida’s bombing of American embassies in East Africa. He was deputy national security adviser during Clinton’s first term, and had previously worked in the State Department in President Jimmy Carter’s administration. “Today, his legacy can be seen in a peaceful Balkans, our strong alliance with Japan, our deeper relationships with India and China,” President Barack Obama said in a statement. In 2005, Berger pleaded guilty to illegally removing classified documents from the National Archives by stuffing some papers in his pants leg. He cut up some of the documents with scissors, for reasons that remain unclear. He was sentenced to probation and a $50,000 fine. He expressed regret for his actions. Berger presided over foreign policy during what was a relatively serene period between the fall of the Soviet Union and the September 2001 terrorist attacks. The biggest trouble spot was the Balkans, where the breakup of the former Yugoslavia spawned a series of civil wars. The U.S. and its NATO allies took militarily action against what they viewed as Serbian aggression, first in the conflict over Bosnia, and then in Kosovo. Berger led White House meetings during NATO’s 11-week bombing of Kosovo in 1999. He also played a key role in Operation Desert Fox, the four-day bombing of Iraq in 1998 over Saddam’s failure to comply with U.N. Security Council resolutions about weapons inspections. Also in 1998, al-Qaida attacked U.S. embassies in Kenya and Tanzania. The Clinton administration responded with a cruise missile barrage against training camps in Afghanistan and a pharmaceutical plant in Sudan. The strikes did little to disrupt al-Qaida and became a thread in a long running criticism that Clinton and his team failed to properly respond to a burgeoning terrorist threat. After the attacks of Sept. 11, 2001, Berger was vocal in defending the administration’s counter terrorism record, and it was his passion that may have led to his prosecution. In court, Berger admitted to taking and destroying three copies of a classified report about the government’s response to the millennium plot in 2000 by Islamic extremists to attack in Los Angeles and other locations. But a report by House Republicans claimed he may have secretly removed many more documents from the Archives. Albright said she and Berger never spoke about the matter, through years of working together. “Even the finest people make mistakes,” she said. Berger grew up in Millerton, New York, where his father died in 1953 when Berger was 8. His mother ran the family Army-Navy store while raising Berger and his sister. He went to Cornell, and then Harvard law school. He met Bill Clinton while the two worked on George McGovern’s 1972 presidential campaign. Berger remained an important political and foreign policy figure in Washington. In August, he wrote an opinion piece for Politico in support of the Iran nuclear agreement. “It is not without risks, and it does not solve the Iran threat in the region. But it will prevent Iran from developing a nuclear weapon for at least 15 years,” he wrote. Berger is survived by his wife, Susan, in addition to three children and five grandchildren, Albright said. Sandy Berger was most recently on the PBS NewsHour discussing the Iran nuclear agreement.